Three prizes will be awarded: one each to the second-, third- and fourth-year anthropology majors having the highest cumulative grade point averages. Students must have had an average of three full courses or equivalents per year since admission to York to qualify. Established to honour former staff members, Irene Wensley, Rena Nicol and Beryl Vince for their exemplary service to the Anthropology Department and its students. 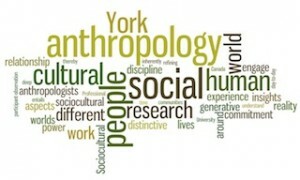 Selection will be made in the spring of each year by the Undergraduate Program Committee of the Department of Anthropology. will be awarded in alternate years as follows to an outstanding full time anthropology major who completed 90 credits; awarded to a student with the highest CGPA who has clearly demonstrated promise in at least one of these areas: social justice, ethics, psychoanalytic anthropology, child development, the role of mothers and fathers, gender studies, individual experience related to forms of culture and/or qualitative methods. Preference will be given to students with a history of participation in McLaughlin College activities. This award was established to assist an undergraduate student majoring in anthropology who has completed between 60 and 90 credits with a cumulative GPA of 7.0 or higher. The recipient must be currently registered in a minimum of 18 credits and be a Canadian citizen, permanent resident or protected person, an Ontario resident and demonstrate financial need. A committee within the Scholarships and Bursaries Unit in the Office of Student Financial Services selects the recipient. This award will go to the full-time continuing undergraduate student majoring in sociology, psychology, political science, geography, economics or anthropology, who has achieved the highest grade point average on a minimum of 5 full courses - at least one of which is in the major- completed in the previous Fall/Winter. A committee within the Scholarships and Bursaries Unit in the Office of Student Financial Services selects the recipient.